Rooftop splash atop Clarion Sign Hotel in Stockholm. Here it is August already. 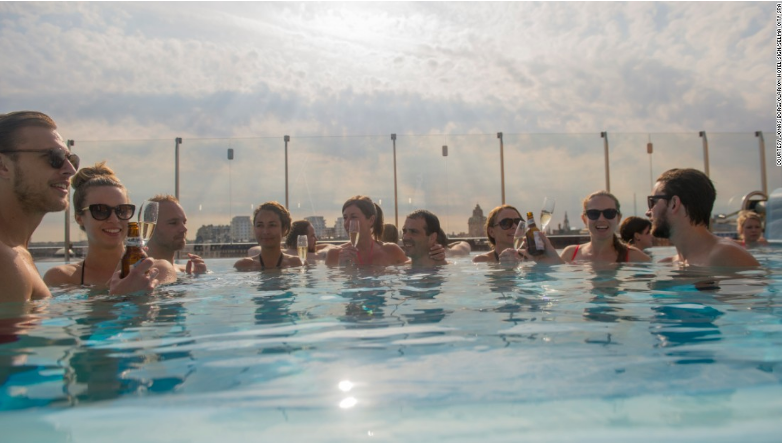 Perfect time to head to the beach, lake or any splashy (with style) rooftop bar to cool off. Colleagues at CNN Travel recently posted a list of 50 of the world’s best rooftop bars and restaurants. No research budget was spared in compiling this list. And, to CNN Travel’s credit they did a terrific job. Here’s the top 50 list. But we wanted to add a few gems from San Diego because this Southern California city is often ignored when the big media does its grandiose destination round ups. Mr. A's Restaurant in San Diego. Note: jets en route to bayside Lindbergh International Airport fly thought a no-high rise valley before landing. Here’s what we mean (above). CNN Travel in its 50 best list posted Berlin’s Panorama Terrace at the Park Inn hotel. Nice. Industrial views, but they missed the venerable and always romantic Mr. A’s restaurant. 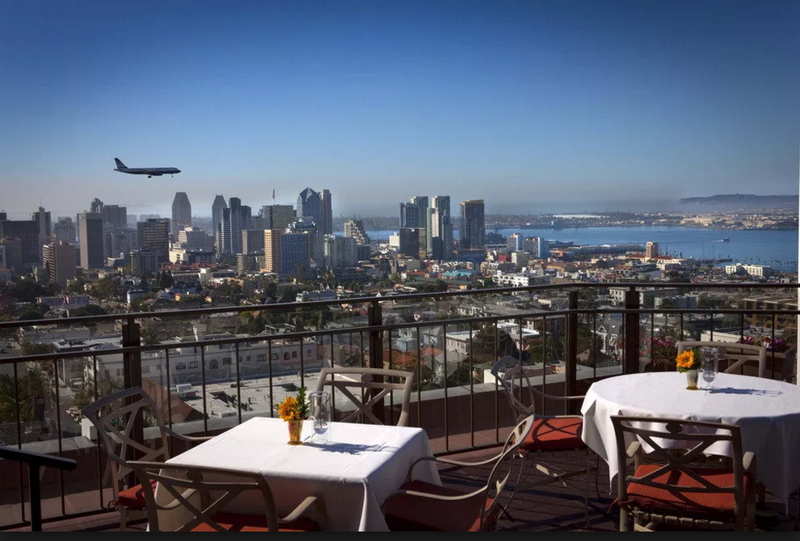 The vista of beautiful San Diego is stunning all day, all night, especially if the view is sitting across the table. Level 9 atop Gaslamp Quarter's Hotel Indigo in San Diego. Note: Dome in distance is San Diego icon architect Rob Quigley's stunning new public library. 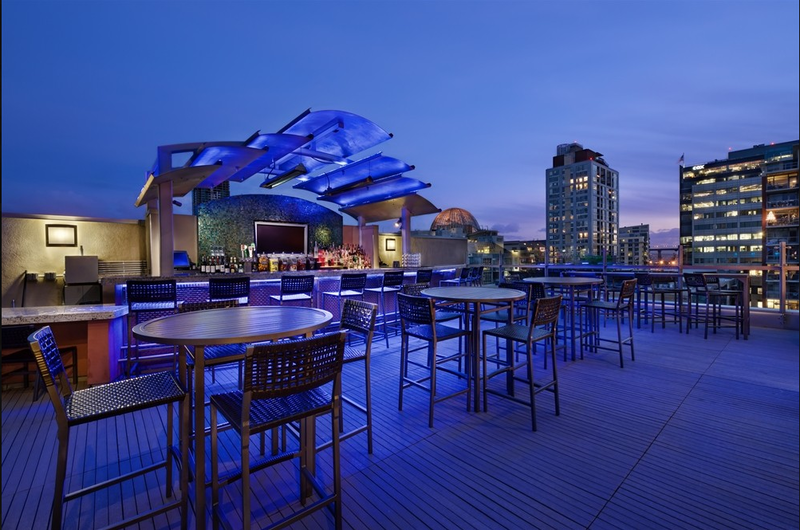 One of the newer rooftop view venues is Level 9 atop the Hotel Indigo in the heart of San Diego’s vibrant Gaslamp Quarter. It’s near the convention center and Petco Park, home of the madding crowds of pro baseball aficionados. 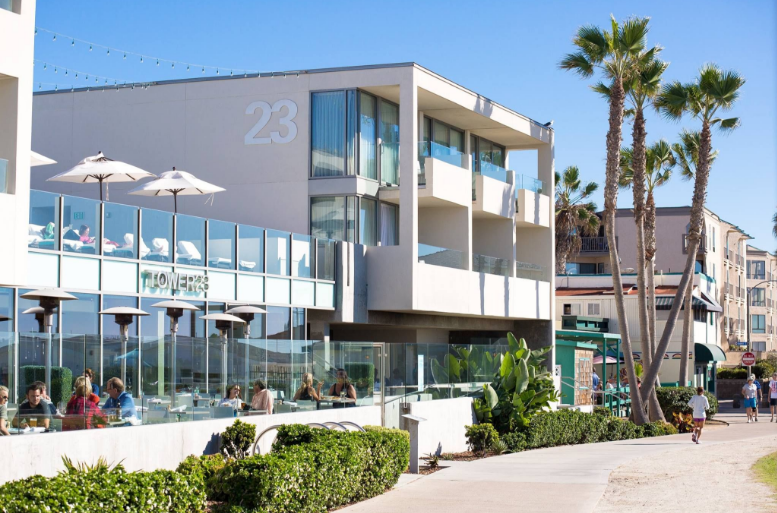 Forever young, this beachside neighborhood is a wonderful place to take in sights and suntans. Central to that is Tower 23 hotel/bar/restaurant. Hotel rearranges the top deck chairs from sunny day use to evening romance. 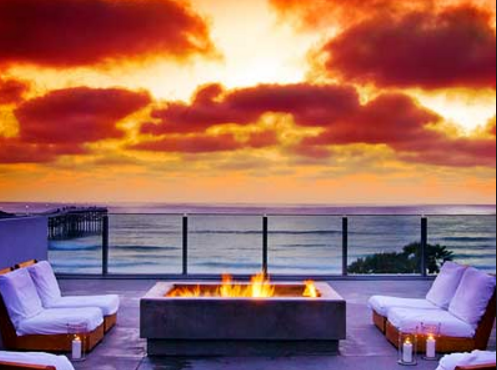 Wanna a sunset view over the Pacific? Go to Pacific Beach.